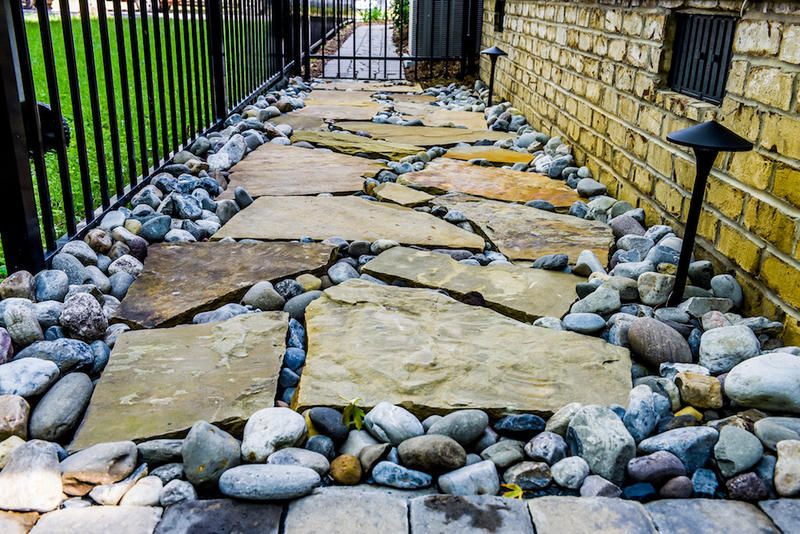 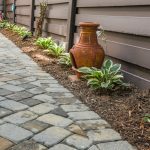 The homeowner wanted to increase usable space on a relatively small lot so we transitioned the back yard into a courtyard area using pavestones to allow for more personal use as well as entertaining guests. 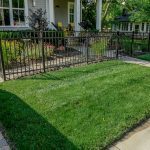 The homeowner also wanted a privacy fence that would give them a contemporary look that is also low maintenance, so we decided on the dark brown, composite fence with horizontal slats. 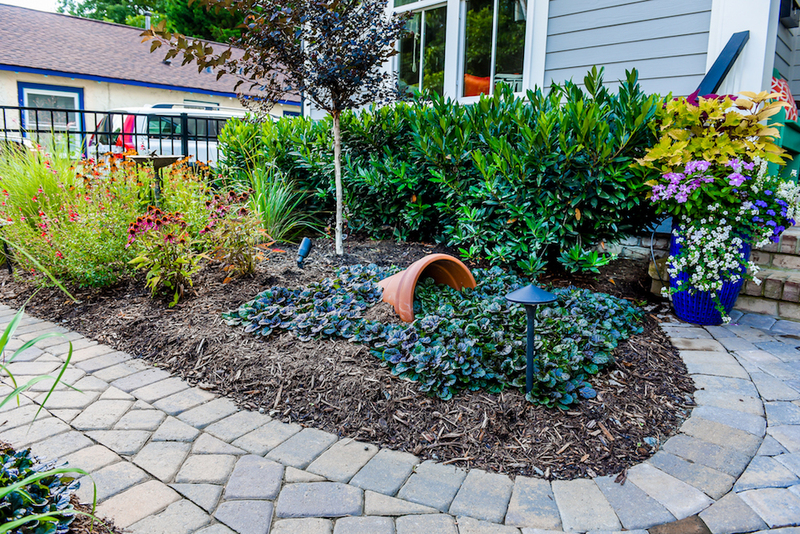 In the front we installed a driveway that ties in with the landscaping and offers something decorative, yet practical. 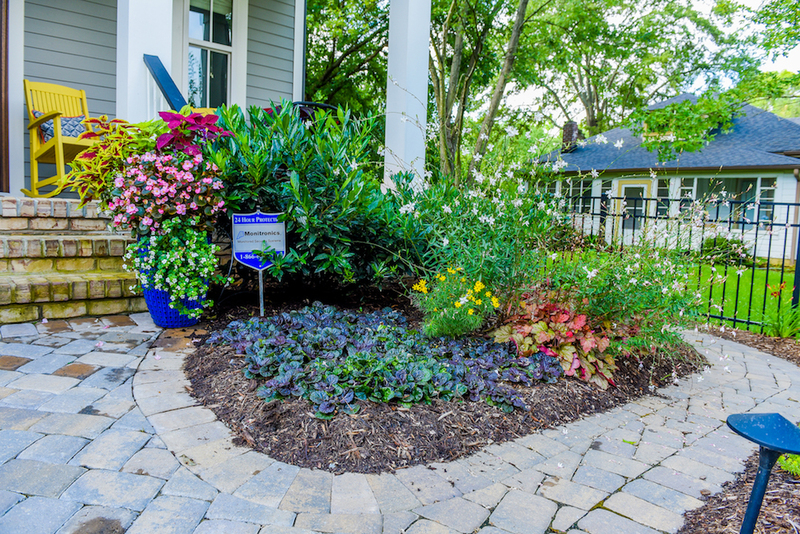 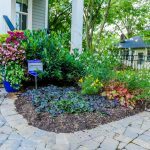 The homeowners wanted eye catching color in the front so we used perennial flowers extensively and to offer even more color added the planter pots filled with bright annual flowers. 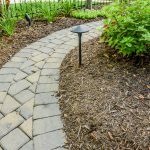 The final touch was low voltage lighting, which allows for evening enjoyment and sets off the entire landscape at night. 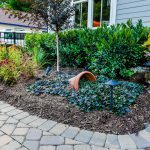 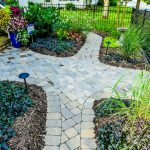 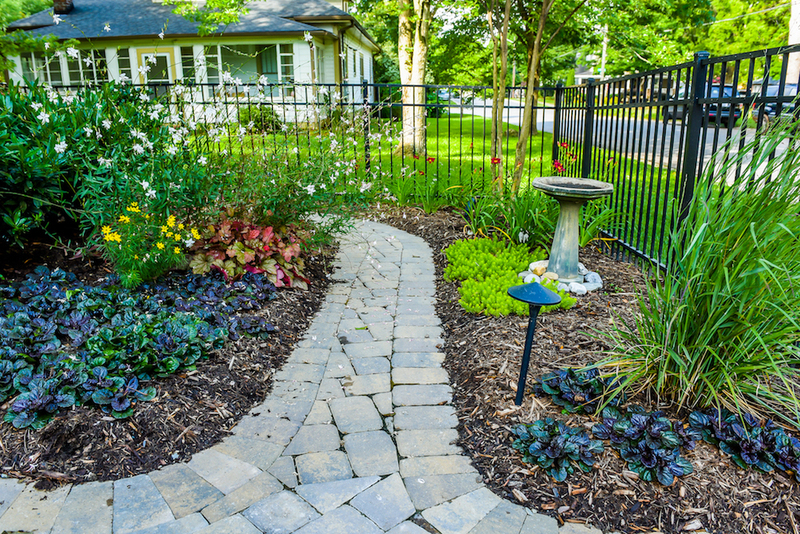 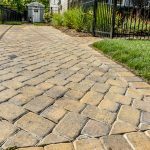 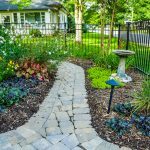 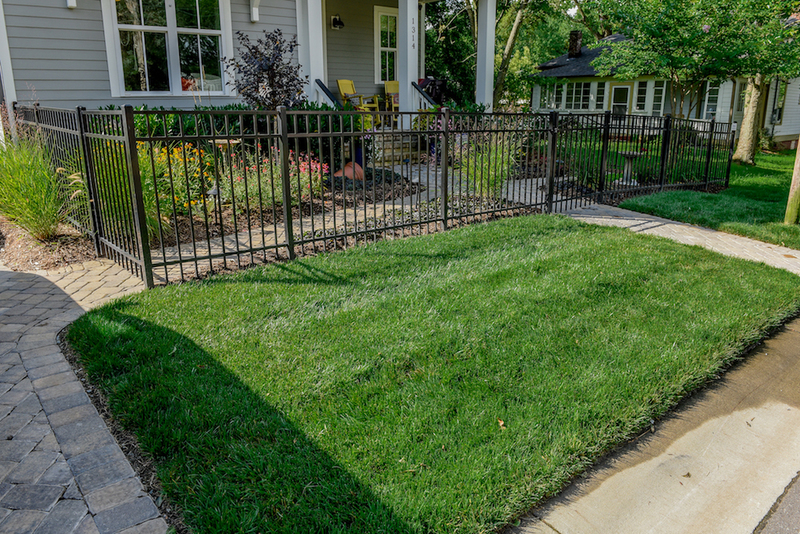 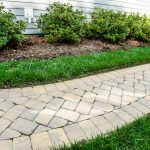 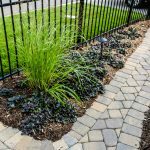 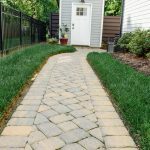 Whether you are in the market for a new lawn care specialist, need repairs done to an irrigation system, or would like to have an outdoor living area installed, EcoGreen Landscaping is positioned to meet all of your landscaping needs. 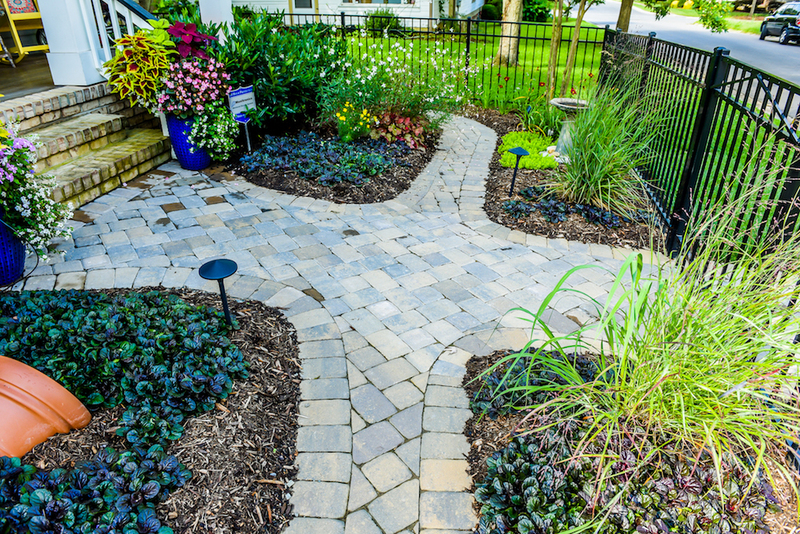 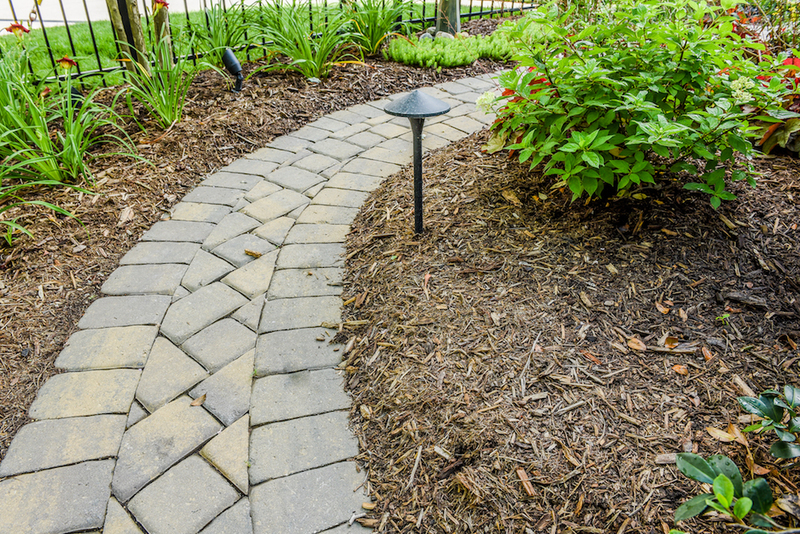 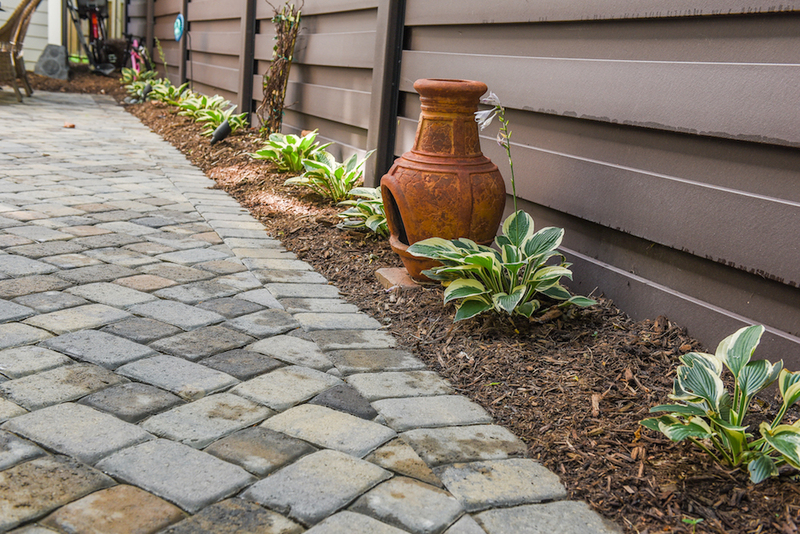 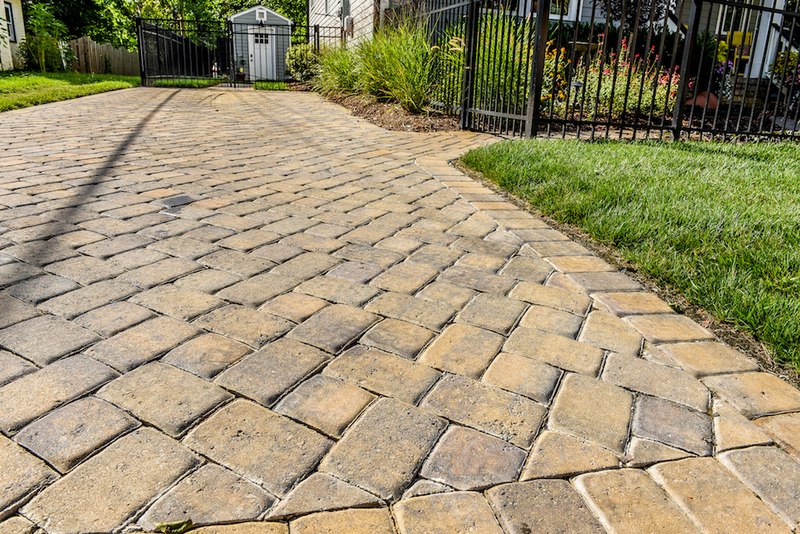 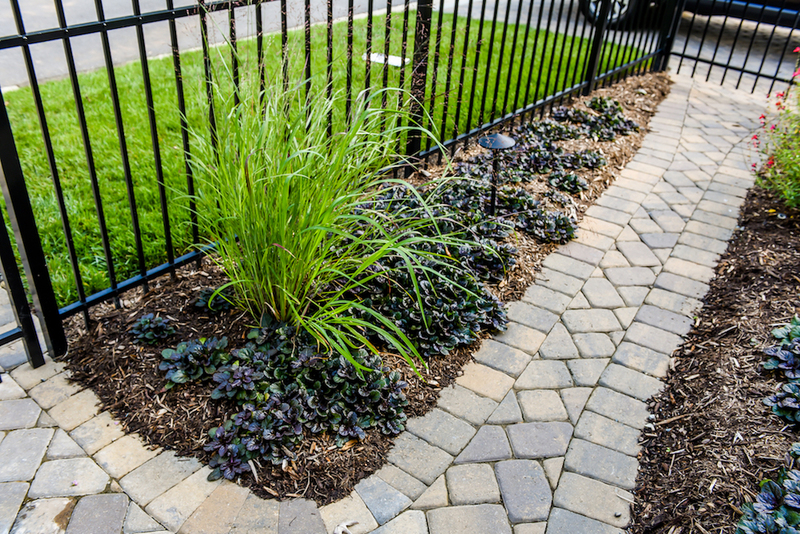 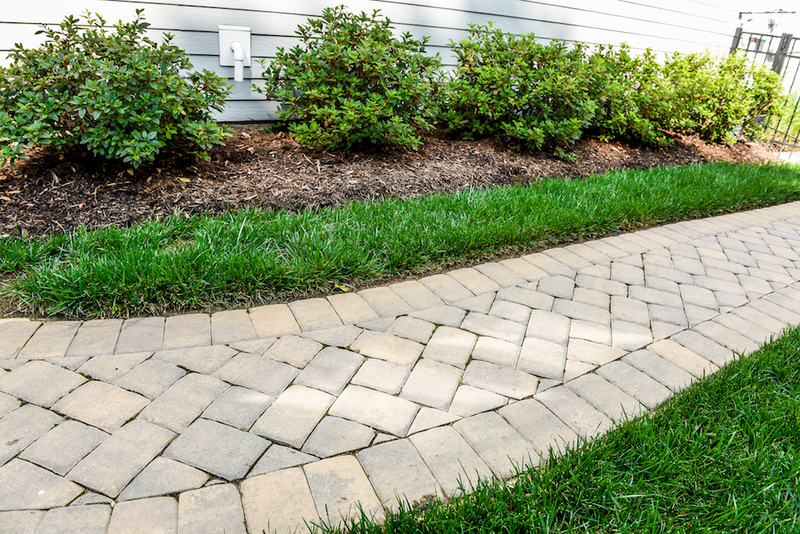 Our professional services include landscape maintenance, plant design and installation, walkways and patios, and irrigation and lighting installations and maintenance. 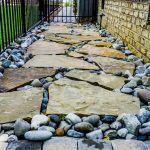 Our mission is to provide quality custom solutions for our clientele. 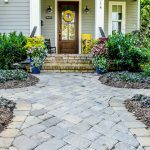 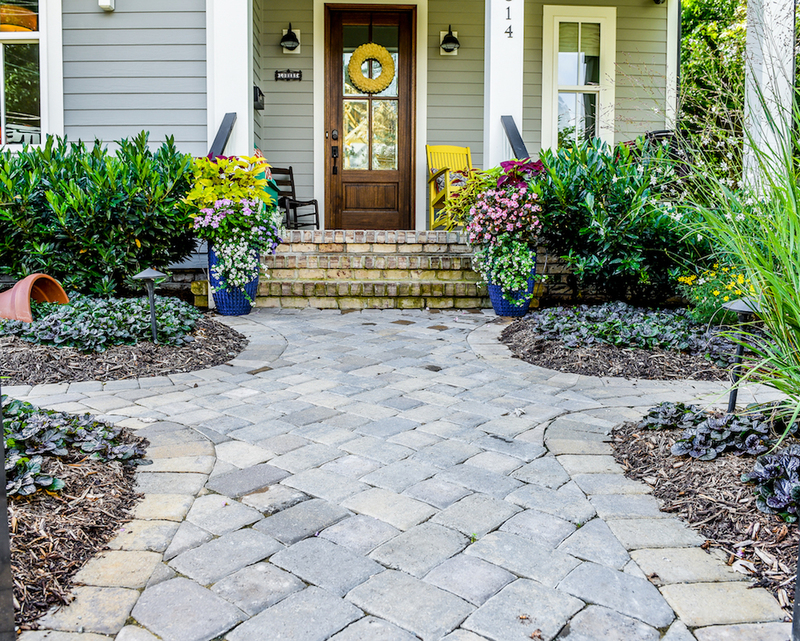 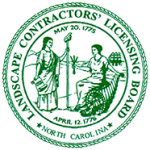 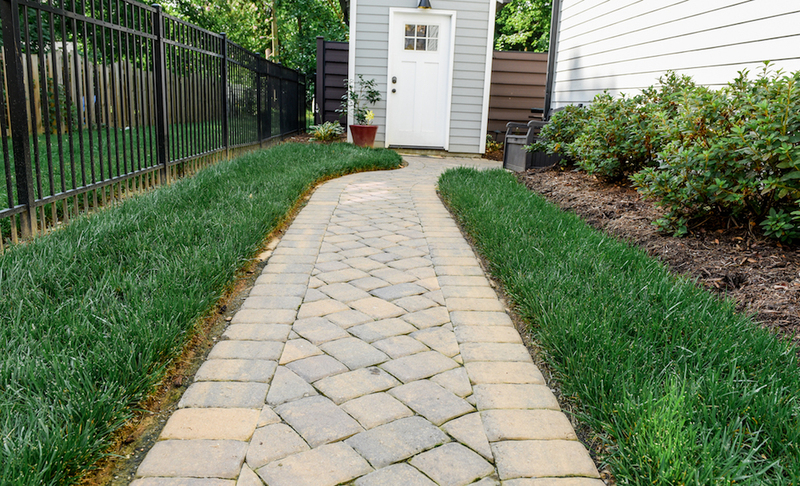 We hold a North Carolina Landscape Contractor's License as well as Pesticide licenses in both North and South Carolina.